'But My House Is A Mess'...and other things that don't matter. ‘But My House Is A Mess’…and other things that don’t matter. 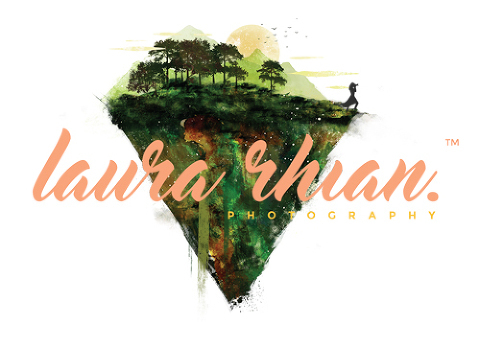 Hello, i’m Laura and i’m a family lifestyle photographer, based in Staffordshire! Thank you so much for taking the time to read this blog. I hope that you find the content useful. Family photography has been on a bit of a journey over the last few years. The number of studios with while backgrounds and cheesy jumping about seem to be on the decline and are being replaced with more natural, homely type of photography, that focuses on fun and relaxed photos. The beauty of these sorts of sessions is that they give you images that create so much feeling and connection between family members because of the lack of ‘staging’ and because when allowed to be yourselves, the photos make you look so much more like you. Sometimes it can be a bit daunting to invite a total stranger to take photos and often I am asked lots of questions about what it involves and so I thought id put together a few common concerns about booking family sessions. WHAT IS A FAMILY LIFESTYLE PHOTOGRAPHER? A family lifestyle photographer sounds super fancy but all it really means is that it’s a photographer who prefers to take a more natural approach to family photography and who will want to photograph you in the home/outdoors environment, living life as you normally would, rather than in a studio setting. MY HOUSE IS A MESS AND I’M WORRIED ABOUT HOW IT WILL LOOK IN THE PHOTOS. I hear this a lot. We live in an ‘Instagram’ bubble these days where decor and the latest paint colours are agonised over. It’s easy to feel like your home doesn’t match the aesthetic of the sorts of houses filled with beautiful families sat perfectly poised that you see online. I’ll let you in on a little secret. A lot of what you see is very curated, very styled and can sometimes not be an honest view of family life. What I find the most beautiful is not whats on the walls, or the fact that you have THAT La Redoute rug (you know the one) but its cuddles, kisses, giggles and silly faces. When at home, your children are in their most favourite place on earth. The place there they can play, where the snacks live, where Peppa pig comes to visit. The place where they have bubble baths and dance parties. They don’t see old wall paper, or the stain on the carpet from the time they had an explosive nappy. When they get older, the decor and the memories and the family belongings will be incredibly sentimental to them so why not give them a trip down memory lane in later life. MY KIDS AREN’T KEEN ON HAVING THEIR PHOTO TAKEN. WHAT HAPPENS IF THEY DON’T PERFORM? Your experience of family photography up until this point may involve being instructed to stand in a certain place with everyone looking in the same direction and smiling symmetrically. This is a lot of pressure to put on children who at the exact moment the photo is about to be taken, they develop a common condition found in children called ants in the pants. My sessions involve a small amount of direction but it won’t be requests to look at the camera. I LOVE interacting with kids. You will always find me on the floor being introduced to all of their toys. I invest time in getting them used to me before the camera enters their view. When the camera does come out, the playing doesn’t stop. I use prompts to encourage interaction between family members but there will be no ‘say cheese’ moments or ‘Billy look at the camera’. It’s not really how kids work a lot of the time. I work hard to capture their imagination because they are far more receptive to working with me if they can see that i’m really interested in their latest tractor. DO I HAVE TO BE IN THE PHOTOS? I HATE HOW I LOOK ON CAMERA. This is also a really common feeling. I’m not the biggest fan of being photographed, which I know sounds ridiculous. You suddenly become really aware of your face and your lack of control of it. You worry about whether you’ll look fat, spotty, tired or sometimes all three. It’s completely normal to feel this way. I want to encourage you to embrace how you look and feel at the moment because to your kids, you are perfect. When they get older, they will love seeing you in photos. Real, honest photos that show your relationship as it was. They wont see fat, spots or tiredness. They will see pride and love. They will compare how they look then to how you look now. They will see the same nose, or the same crazy hair. You don’t have to look perfect, you just have to look like you. HOW DO WE PREPARE FOR THE SESSION? In advance of the session, we will talk through what you and your kids love to do. If there is any particular favourite past times and what it is that you want to get from the session. It’s important to me that I have a good grasp on how your family works so that I can be armed with tricks to get the very best from the session and to give you images that you love. HOW EXACTLY DOES A SESSION WORK? I would arrive at an agreed time and spend the first 15 minutes being introduced to the kids. Usually 90% of the time, the children will be quite shy and this is normal. I am a new person that they’ve never met before and they need time to work out that i’m nice. After they have warmed to me, we will start to play together. I usually find that once kids realise that you like their toys, they relax quite quickly. We then will move around the house, taking shots, interacting together. I like to use mum and dads bed a lot because its big and its good for snuggling shots. Sometimes, if the weather is good we could get some fresh air either in the garden or at a nearby park. It’s good to have two locations because it keeps the children engaged for longer and it gives you more variety in your images.